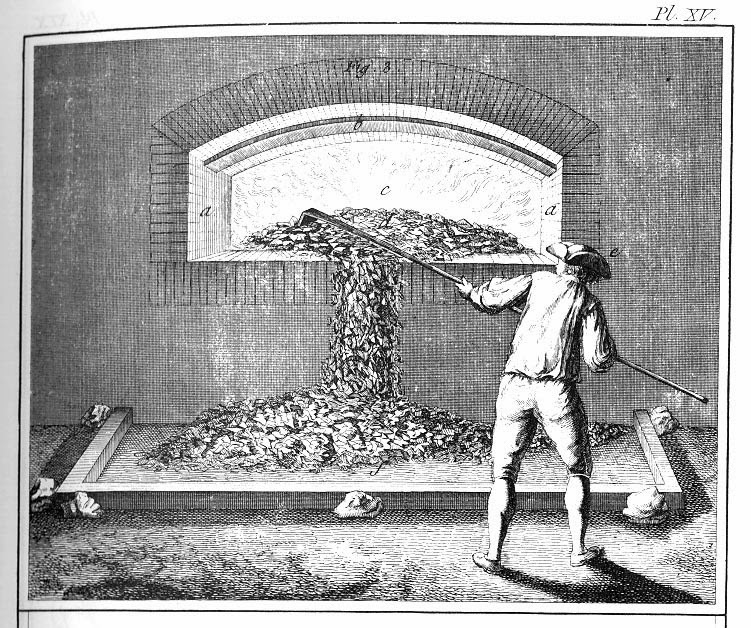 Making glass from raw materials involves several steps. 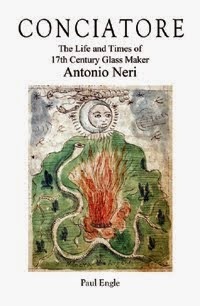 In his 1612 book on glass- making, L'Arte Vetraria, Antonio Neri breaks the process down into parts so that, "given a bit of experience and practice, as long as you do not purposely foul-up, it will be impossible to fail." Pure white sand, or preferably quartz river stones which Neri calls "tarso" is broken up and pulverized into a fine powder. 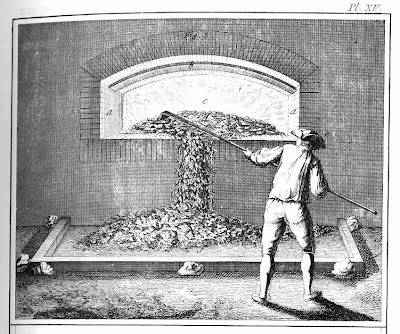 The initial work can be done by heating the stones in a furnace, then dropping them into a vat of clean cold water, where they will fracture due to the thermal shock. The process was often repeated multiple times. From there, the pieces are pulverized in a stone mortar and pestle. Stone, because metal tools would contaminate the quartz, and in the end tint the glass. Finally, a powder is obtained by grinding with a stone tool on a flat granite "porphyry stone." This powdered quartz is the main ingredient of glass.